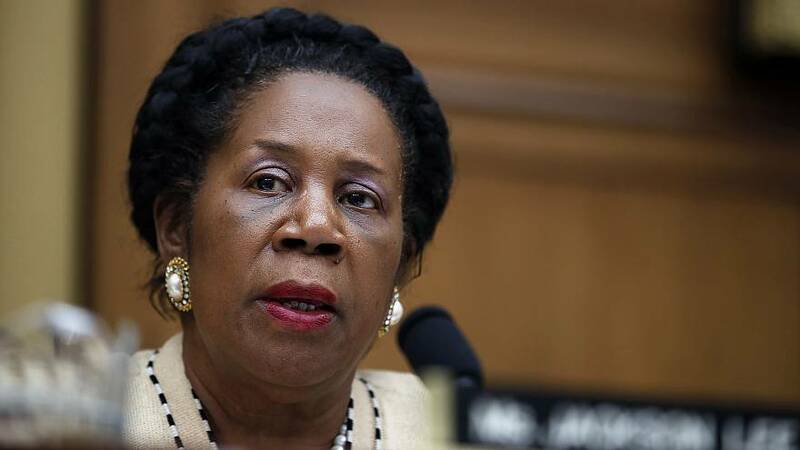 Texas Congresswoman Sheila Jackson Lee said Tuesday she felt she was targeted by a passengeraccusing her of taking her first-class seat on a United Airlines flight "because I was an African American woman" as the airline said she was not given the seat because she is a congresswoman. Passenger Jean-Marie Simon accused the airline of giving up her first-class seat on a flight earlier this month from Houston to Washington, D.C., to Jackson Lee, a Democrat, in a report in theHouston Chronicle. "I am disappointed in having to respond to this accusation, but I believe transparency is very important," Jackson Lee said in a statement posted to her Twitter account on Tuesday. The longtime lawmaker said she received her boarding pass for her flight on Dec. 18 and "boarded the plane in the normal process." "I did nothing wrong. I asked for nothing exceptional or out of the ordinary and received nothing exceptional or out of the ordinary," she said. "I proceeded to take my seat and work on legislative issues on my way to Washington." She said she then observed a "disruption" from someone walking back and forth in the cabin of the plane. That woman was speaking with a black woman flight attendant, she said. A gate agent went to speak with the passenger before the flight took off, she added. Jackson Lee said the person "came toward me and took a picture" and that she heard the woman might have said 'I know who she is.'" "Since this was not any fault of mine, the way the individual continued to act appeared to be, upon reflection, because I was an African American woman, seemingly an easy target along with the African American flight attendant who was very, very nice," she said. "This saddens me, especially at this time of year given all of the things we have to work on to help people." The company said the gate agent gave Simon a travel voucher for her flight, the representative said, adding that Simon received additional compensation after complaining to United, before speaking with the Houston Chronicle. Simon told the Chronicle that she denied canceling her ticket and that she was given a $500 voucher and reseated in the "Economy Plus" section. She said Jackson Lee's statement accused her of racism and "I had no idea who was in my seat when I complained at the gate that my seat had been given to someone else." She said an airline resolution manager called her and personally apologized on Saturday morning, but she wants a formal, written apology from the company. "It was United's idea of compensation for having bumped me from my seat and the gate agent gave me an ultimatum: take the voucher and get on the plane or find another flight," Simon wrote on Facebook, saying that she had "no wish to prolong this incident and its aftermath." United has been involved in several high-profile customer relations incidents, including the violent forced removal of a passenger in April and a woman who said she wasforced to hold her toddler on her lap for a three-and-a-half hour flight despite spending nearly $1,000 on a ticket for her son.